Seeing as I’m not very patient, you know I wouldn’t be able to wait that long for this beaut. This bag is not any bag. No. 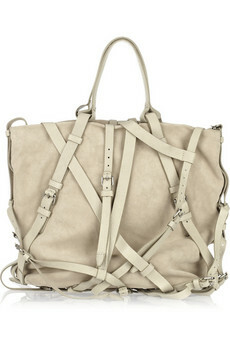 It’s an Alexander Wang Kirsten Buckled Suede Tote bag. What a mouthful. Other than the fact that it’s perfect. Is dripping in buckles. Is off white (who said I needed something practical?) It’s also heavily discounted on The Outnet right now. Hello £352. Come to mumma. "Picture Perfect London and Me"